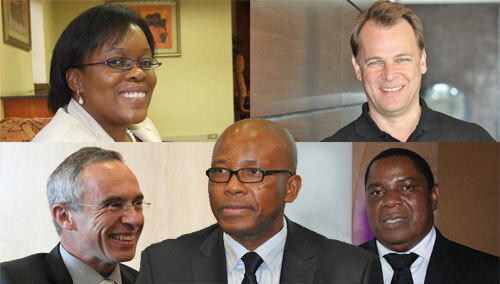 Another tumultuous year is almost at an end for the SA information and communications technology industry. It was a year of falling telecommunications prices, increasing competition, upheaval in politics and drama in the regulatory environment. Our “Newsmakers of the Year” award is presented to individuals we believe had the biggest impact on SA’s technology sector. For the most part, they’re also the the people who made the headlines in 2010. Part two, consisting of positions five through to one, is here. The Gijima nonexecutive chairman stirred controversy in 2011 when he pulled the plug on his short-lived investment in the Golden Lions Rugby Union. Gumede’s investment, with long-time friend and business partner, Ivor Ichikowitz of defence and armaments group Paramount, would have resulted in the two men acquiring 49,9% of the Lions. But Gumede and Ichikowitz fell out with Lions management, accusing the union of wanting their money but not being interested in their plans to effect meaningful transformation. Gumede accused Lions managers of being “stuck in the past” and not prepared to “buy into the future”. It was a troubled year for Gijima, too, which lost its multibillion-rand IT contract with the department of home affairs. Home affairs pulled the plug on the lucrative contract after costs ballooned from R2,1bn to R4,5bn. Cancellation of the contract reportedly cost home affairs R389m. The Vodacom Group CEO took to Twitter in July after the network experienced a widespread service outage and came in for a tongue-lashing from consumers on the social networking site. Uys responded to criticism directly and, by engaging with disgruntled consumers, he helped manage the fallout from the incident significantly. Uys had another fire to put out in the form of an apparent blunder after Vodacom said it would cap BlackBerry users’ data in an effort to curb excessive use by some subscribers that were using their devices to download enormous amounts of data, impairing the network in the process. Uys denied that any caps were to be imposed and said instead that Vodacom was in talks with BlackBerry maker Research in Motion to find a solution to the problem. The maverick Cell C CEO stepped down in June for “personal reasons” but remains in the country looking for new opportunities. Under his leadership, Cell C built a third-generation mobile broadband network and overhauled the brand through a high-profile advertising and marketing campaign. It also slashed mobile broadband prices, prompting rivals to react. It courted controversy, too, with rivals repeatedly complaining about its ad campaigns at the Advertising Standards Authority. Cell C’s campaign poking fun at the overhaul of Vodacom’s brand identity had its bigger rival seeing red. Simon Duffy, Cell C’s chairman, is leading the company in an acting capacity until a full-time replacement can be found. Duffy has promised to continue the strategic course begun by Reichelt. Meanwhile, former Vodacom CEO Alan Knott-Craig is rumoured to be in talks with Cell C, possibly to take an investment in the company, though he told TechCentral recently he had made no firm decisions yet about returning to the telecommunications industry. If he were to join the company, it is more likely he’ll come in an advisory role or as chairman. Head of the recently formed National Consumer Commission (NCC), Mamodupi Mohlala has a reputation for being fiery and uncompromising — traits that will stand her in good stead as the head of SA’s consumer watchdog body. Mohlala was instrumental in serving compliance notices on SA’s mobile and fixed-line operators, demanding that they amend their contracts to bring them in line with the requirements of the Consumer Protection Act. She was previously director-general at the department of communications where she had a highly fractious falling out with then communications minister Siphiwe Nyanda. 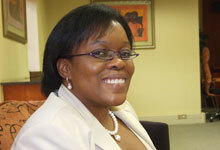 The former minister attempted to sack Mohlala only to have her reinstated when she challenged the decision. When BlackBerry manufacturer Research in Motion suffered a three day outage in October, Mohlala was in the news again for suggestion that BlackBerry users should seek compensation. The Microsoft SA MD helped lead an interesting black economic empowerment initiative in terms of which it has undertaken to invest in local, black-owned independent software vendors on an “equity equivalence” basis. Microsoft won’t be taking equity stakes in the companies, but hopes that the solutions they develop with its assistance will be of use to the software giant, too. Microsoft SA is precluded from selling equity in its local operation and sees the initiative as a way to build local companies into global players and to improve its own black empowerment rating.